I got to hear Jill speak at a conference I went to recently with some of my Bethel family. I had never heard of her before but she quickly became my favorite speakers. She’s a British woman who I’d venture to say is in her mid 80’s. The above quote is one she gave at the conference. I had forgotten that the IF conference had given us little card reminders from our weekend. 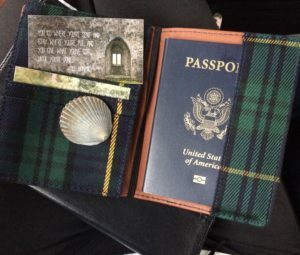 I found this card yesterday as I cleaned out my purse for the trip, it the was perfect timing and I put it right with my passport in my snazzy passport holder that Chelsea got me. I’ve read it a couple of times already and I have to say I find such comfort in her frank and to-the-point words. Especially coming from a woman who has spent so many years devoted to Christ. Here’s this woman in her 80’s still traveling the world, diligently going where she’s sent and doing what she is called to do. Inspiring. Truly. Godly advice and encouragement seems to be so much more impactful when it comes from the lips of someone who is producing fruit. Who is living it in an undeniable way. So as we sit here, waiting to board our third and final flight that will bring us to our destination, I can’t help but hope that our little family is just as devoted to God and willing to go where we’re sent for the rest of our lives, not just this one trip. But a lifetime of “yes, Lord”. Another thing Jill said was that when you get where you’re called- unpack as if you’ll never leave. That was huge for me. For the past 3 years since we’ve felt called to Japan, I’ve felt in between. We wanted to go, we were trying to find a way and yet at the same time we started a family and bought our first home in America. It didn’t seem to add up. But I’m learning to be more flexible, well, to try and be more flexible and accept that I just can’t see the whole picture. But Japan is on our hearts, and we’re finally going! So this week while we’re in Japan, we’re going to unpack like we’ll never leave and give all we’ve got! We pray we remember to be intentional with our time there as it is short. We pray that we make the most of every opportunity and see everyone we meet as God sees them. Today is the day! We’re on our way to the airport for the first step of our journey! As I sit in the backseat soaking up the Florida sun and listening to Oceans on Rachel’s iPod, I’m reminded of the first time I heard it and our call to Japan immediately came to mind. Three and a half years to get to this point. Three and a half years to get here. It seems so much longer and yet so unreal that we’re finally here, step one of our long journey to Asia. We’ve equipped ourselves with entertainment for the flights- though I’m praying that during these flights God prepares our heart and minds for what we will find when we land in Japan. That was my prayer then and I smile as I see just how big of a prayer it was. Bigger than I had ever imagined. We’ll be updating as we go along and we thank you all again for your support and ask for prayer that our hearts would be prepared and our minds focused and open to the task before us. We pray for the Japanese people, that God stirs in their hearts to be open with us even though we are “gaijin” foreigners. are filled with anticipation. March is almost here and our departure time is just around the corner. I’ve deactivated my Facebook for the time being, I need to focus on the task at hand, no distractions. I’ve been pouring over my Bible, trying to draw from it every ounce of strength and guidance that I can. I came across a verse over the weekend at a women’s conference and I’ve been holding onto it. I think I’m still in shock. There’s no way we just raised every single penny needed for this trip. Even the pennies I didn’t think to account for, like traveler’s insurance and little costs that crept up here and there. I have to admit I’ve had some doubt about the trip. Who are we to think we can afford to do this now? We’ve been waiting more than 3 and a half years, trying to find ways to be in Japan, and here we are, pinching our pennies as it is. Was it arrogant to think we could pull this off? But waiting for the perfect conditions wasn’t working. Waiting for an easy way to just fall into our laps wasn’t working either. This had to be a leap of faith. A big giant, cross country, cross pacific leap. And I was reminded this as my son played with my necklace from a sweet friend of mine, that in my necklace was a tiny little mustard seed. And as I ruffled his hair and told him not to eat it, I shared with him, more to my encouragement than his, that that was all the faith we needed to move mountains. So even though our leap will be big, my faith wasn’t much bigger than that mustard seed. But the overwhelming support we have received and just being in a position to watch God provide for us through our community has made my little mustard seed of faith swell. I still have to keep my eagerness to plan every single detail at bay, so as not to plan God right out of this trip. But knowing that we can go, that we really can spend a week in prayer in this beautiful country with these beautiful people has reassured me that God will use this trip. It is in His hands and I know it’s what we’re supposed to do and where we’re supposed to go! Thank you all so much for every ounce of support. Every prayer, every monetary donation, every hug and word of encouragement. We cannot wait to finally be there and love you all for helping make it possible. Honestly my heart is so full! Surprise! This is a cooking blog! 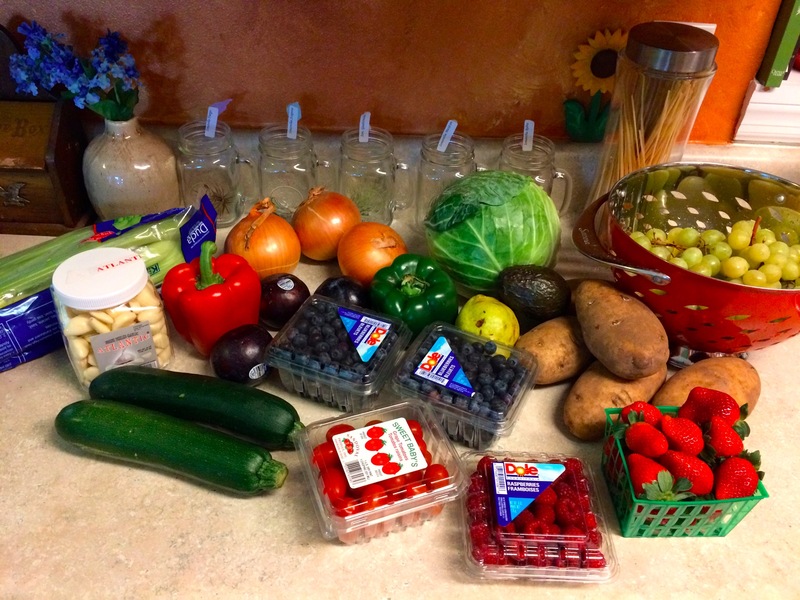 Not really, though I do enjoy creating colorful healthy meals in my little kitchen. The photo above is from my most recent shopping venture to our local farm market. The image below is a glimpse of the market in Kyoto Japan near where we’ll be staying in March. I’m not sure I’ll find recognizable vegetables or even recipes in english! But cooking will definitely be an adventure in Japan. 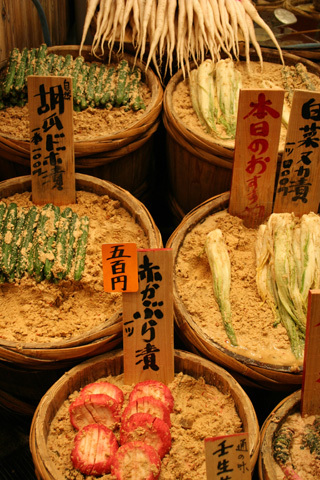 I cannot wait to walk through the Nishiki Market, smell all the new smells, be among the hustle and bustle of the Japanese going about their day buying and selling produce, such excitement! As for cooking in Japan, if things don’t turn out, I’ve read that there are plenty of Ramen stands so we won’t starve if our kitchenette cooking venture doesn’t pan out! Our food expenses are still un-sponsered if anyone feels led to sponsor our meals for the Vision Trip 🙂 I promise to take pictures (yes I’ll be one of those people who takes pictures of their food- just this once) and I’ll even record the names of the meals- no promises I’ll know what’s in them! But if I can bring home authentic Japanese recipes- I will! Fifty-five days until departure and it still doesn’t seem real. We’ve finally got the budget and itinerary put together and have begun fundraising! I am so excited! But more than being excited about going, I’m excited that I’m excited! I was so defiant about going all the way to Japan to minister to people who have the same problems as we do in America, in our own community! But God has opened my eyes and heart to the unique needs of the Japanese people and the ways that we can and will hopefully touch their hearts and open their eyes to joy unspeakable. I cannot even express my joy, my completely God given joy, which makes it that much more fulfilling! Praise God we already have our flight to Japan sponsored! So we only need to raise the money for our flight(s) home, the hostel we’ll be staying in, the hotel in California (for a layover), food, and in-country transportation. I’ve got a breakdown at the end of this post if you’d like to sponsor a night in the hostel, some of our flight home, or a meal or two. That’s my favorite part about giving, breaking it down to see that even my little bit helps if everyone pitches in. Because I don’t know about you, but when I see a number like $4140, as good as that is for a 9 day trip across the world to an expensive country, it still makes my eyes a little wide with shock and wonder at how we can get this accomplished. But then I remember how blessed we are with such an incredible faith family, many of whom are on their knees praying for this mission, praying for us, our way over and back, and the Japanese people we long to be among. I cannot thank our prayer warriors enough! As for some details about our trip, we’ll be staying in Kyoto most of the time we’re there. I know this is silly, given all the big prayers we ought to be praying, but I do so hope that the Cherry Blossoms bloom early this year so we can see them! We’ll be there just before peak season. But back to the details, we’ve looked into some local churches in Kyoto to meet up with while we’re there, but we’ve honestly left most of our itinerary open for God to work. We don’t want to plan every second and leave no margin for Him to move in. We’ll be spending a lot of time in prayer and getting the lay of the land. The mission work we plan on doing in Japan is similar what we’re doing here. Discipleship. 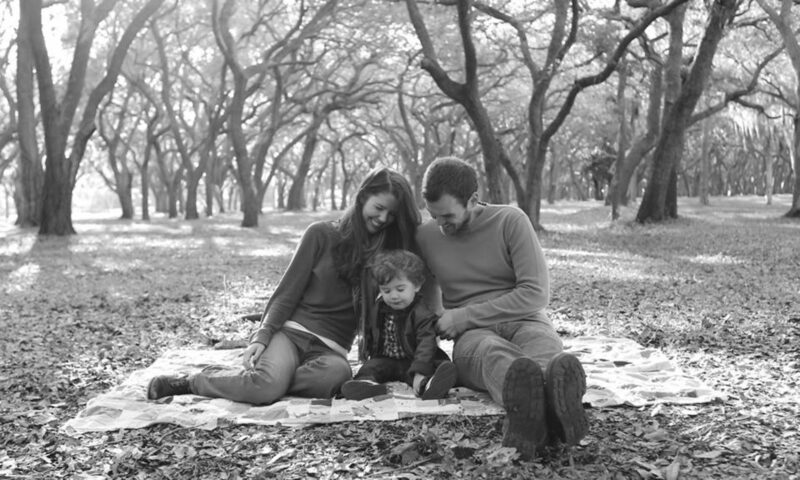 We plan on living among the Japanese people, loving and discipling them in everyday life. To be a light in their work places, their markets, and their homes, not just the church building. Christianity still has a pretty big stigma among the Japanese, it’s associated with westerners and so very “un-Japanese”, thus not widely accepted (just about 1% of the entire country claims Christianity). If living among the Japanese and inviting them into our home there and living out the Gospel leads us to planting a Church, then we’ll do that, or if it leads us to start small groups, we’ll do that. We’re leaving quite a bit of flexibility because we know the Japanese people are going to need a bit of time to warm up to us. We definitely won’t blend in, especially our curly-q, blue eyed little giggle machine. But before I get ahead of myself here, we’ll be spending this trip praying while we’re over there and looking into how and if God wants us to move there long-term. We’re heading there open to whatever comes, whatever is willed but we know at this point, we just have to physically go. Be among the people, pray on the very streets they walk on and breathe the air they breathe, to know, to really know what it is we are called to do there and how. And we are so grateful for the opportunity this spring to do so!! So we thank you again for your prayers, they have power, truly. We thank you for whatever form of support you can give; prayers, monetary donations, encouragement, and advice. Health for the trip since we’ll only be in-country for a week and wish to make the most of it. Any donation would be phenomenal and help us toward our goal for the Spring Vision Trip. But here’s a breakdown if you’d like to sponsor a specific part of our journey. *In-Country transportation of $70, (estimated) including bike rentals and train tickets to Kyoto from the airport and back. (or $40 a day for the two of us to eat.) -This includes airport snacks, and layover meals that won’t be provided by the airlines, bottled water, and food from the market for nights we cook in the hostel which has a kitchenette. It happened something like this: Matthew and I were in the car a couple of months ago and completely out of the blue he says “Hey I have an idea…” and immediately out of my mouth comes, “…lets go to Japan this summer”, and he just looks at me and says, “yeah that’s what I was going to say actually.” It was definitely one of those moments I’ll hold on to, remember that shift in time when things were set back in motion. We hadn’t talked seriously about going to Japan for quite some time. We’d been settling into our new church and spending most of August and September celebrating birthdays, new babies, and weddings. But suddenly, there it was, tangible, real, and exactly what I didn’t expect. Since that conversation in the car things have slowly started to come together. Suddenly we have dates and locations and an itinerary all beginning to form! We’re both filled with such excitement that this is finally happening! This Vision Trip will be a time for Matt and I to travel to the place we’ve been longing for and praying about for the past 3 years! The week we plan to spend in Japan this Spring (as it turns out), will be a time of prayer, discovery, and direction. We can’t wait to be among the Japanese people, see their culture firsthand, and find out how God intends to incorporate our story with theirs. Lesson learned, and relearned…and then again once more just to be sure. And yet, I still forget. I need a pile of rocks to raise up this monument of trust to remind myself. I think the people of the Old Testament were on to something there. But in all honesty, trusting God with not going to Japan has been harder than I expected. I’m a planner, spontaneous, and forgetful… somehow all at the same time. So my natural urge is to plan every single detail, to research Japan to no end, and leave absolutely no stone unturned. I also impulsively want to go- right this moment. Give me about a week to plan, pack and say my farewells, and I am on that plane. Yet in all that rushing and extensive planning, I would have forgotten about thirty-five basic needs because of my near reckless spontaneous haste. In reality, we came to find out that evidently it’s just not done that way. (Not surprising, but surprisingly still a letdown). So we went back to school to go with a wonderful, wonderful organization to do missions in Japan. Unfortunately, the cost was eyebrow-raisingly high to say the least. (And that was before Archer was a factor, an adorable little blue-eyed factor). By now we’re on Plan C, which is somehow owning a home 7,300 miles away from our intended destination. My impulsiveness is y.e.a.r.n.i.n.g. to be in Japan now, among the people I’ve truly begun to love. My tendency to plan is wanting time-frames and plane tickets and suitcases to be packed. Forgetting, as I do, that I am not the one in charge here. And sometimes I wonder, if that is why we don’t have a date, even the rough-draft of a date for departure. I don’t even have a destination in the country itself. But in that, I am forced to trust in God. To lean on Him and give it back to Him. Because if I had known ahead of time, if everything would have gone as planned…. I would have missed out on this lesson. I would have, through ample planning I assure you, been convinced that I was following God, and yet left no room for Him to actually work in. Well… that’s because it is.